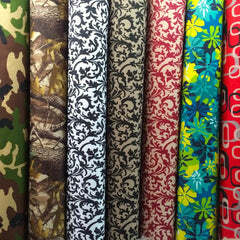 Printed rayon challis is 54" wide and 100% rayon. 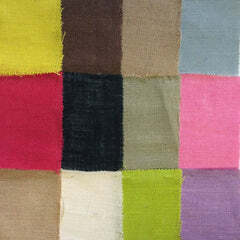 The fabric has a tight weave with a thread count of 100x80 and a thread type of 45x45. 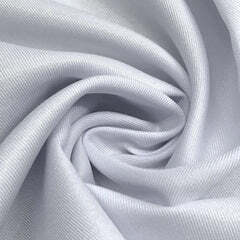 The extravagant rayon fibers are soft and breathable with a light-to-medium weight of 115gsm (grams per square meter). The rayon challis is well known for its breathable fibers that keep you cool during the warmer months. The tight weave allows the print in the rayon to appear vibrant and clear with exceptional detail. The fabric has an exceptional drape, perfect for draping and garment projects. The rayon challis has a fluid texture with a graceful touch on both sides of the fabric. Rayon challis is largely opaque but can be slightly translucent when placed in the light. The printed rayon challis can be used for a variety of garments including stylish tops, skirts, lightweight pants, loose dresses and many other garments. It is also excellent for tapestry decor and other home/event decoration projects! As always, there is absolutely no minimum purchase required. 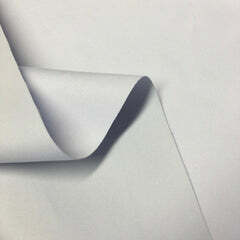 All prints are manufactured in house with over thousands of yards in stock! Take full advantage of our large collection of prints at the most competitive prices.